Peaceville in Belgium: Part 3: Ieper, and the Last Post Ceremony. Here’s the final segment of my Belgium Peaceville adventure for Visit Flanders and Disability Horizons, in Ieper for the Last Post Ceremony. After waking up extremely early in Nieuwpoort that you can read about here, we were off to the tiny village of Poperinge, to be greeted by the most welcoming hosts at a beautiful AND accessible converted barn called Predikherenhof. I felt a little rude just dumping our bags and leaving, but we were in a rush to find the In Flanders Museum in Ieper, so we didn’t have much time! Parking in Ieper proved to be a bit of a challenge. The streets were lined with markets as it was a Saturday morning, but the blue signs for disabled parking were few and far between. Thankfully, David drove the van so he was able to stop in the middle of the street, let the ramp down for me to exit the vehicle, close up and then parallel park in the small side street parking space and hold up 50 or so cars in the mean time. If I was driving there would be no chance for me to park and then exit through the tailgate ramp as the cars were all parked very tightly. The In Flanders Museum was set in a beautiful building in the market square, originally another cloth house like the one we visited in Bruges. The Museum reflects on memories of the First World War and how major historical events impacted on the lives of thousands of people from many different nationalities. For disabled visitors, the lift is easily accessible and all of the exhibits are on one floor so it’s easy to navigate. As you begin your journey around the museum, you’re given a Poppy wristband to scan and load with your data such as names and birthplace, which you can scan around the museums exhibits to give you more in depth information relevant to your visit. The touch screens are all at a good height for wheelchair users though I personally couldn’t lift my arm high enough to scan my wristband to load my data, though a menial thing. I found it quite easy to navigate around the Museum itself, even where platforms were raised and screens were mounted on poles at different heights. Visiting on Saturday morning meant that the museum was very busy, and because of this there was very little natural flow around the exhibits. People were jumping in gaps to where they could see something rather than letting the exhibits tell a story, which lead to us missing a few areas unfortunately. It was a much bigger exhibition than the War in Pictures: 14-18 in Bruges, and more about the Military side of the Great Wars effect on Belgium. I can also mention that the listening posts where you scan your Poppy wristbands were at a much more accessible height that the first data input screen, so it meant that I was able to use this device independently. After lunch, my body decided that was enough. From the cobbles of Bruges, the rushing around in Nieuwpoort with press and the early mornings took the better of me and so we headed back to the B&B for a pit stop, an hours nap and some rural living. By 3 o’clock we were reenergised and ready for the next trip to the Tyne Cot Cemetery, the largest commonwealth cemetery in Europe. There lies almost 12,000 burials, the view is just incredible. I’ve never seen anything like it in my life, row up on row of beautiful white stones. The atmosphere was peaceful, not chilling, and I felt an overwhelming sense of respect and gratitude to the soldiers who are commemorated there. The entire cemetery is accessible, with modern ramps and plaques in the main centre, though there was one small step into the cemetery but my wheelchair could manage this. From one very moving experience to the next, we were off to attend the Last Post Ceremony at the Menin Gate back in Ieper. This well known tune is performed daily as a final salute to the fallen, played by buglers in honour of the soldiers who died in Ypres during the Great War. We had been booked into a restaurant before hand but had been told to attend the ceremony early as it is very popular. Although our meal ran late, we still managed to arrive 30 minutes before the ceremony, feeling quite proud of ourselves. Little did we know, it was much too late, and we were around 40 rows from the front! By this point, the crowds were much too deep to find an attendant to show us to our front row space, so we mixed in with crowd and took in atmosphere. The ceremony lasted 20 minutes and is very humbling and the air is filled with emotion, it was almost a magical experience with the stars twinkling above the crowd silenced by troops. That night, I had the deepest sleep of my life! Ready for our final day in Belgium with our only appointment being the Eurotunnel home, we headed to the Hops Museum in Poperinge after a few sad goodbyes at the B&B with their gorgeous dog called Pitou. The Museum killed an hour, and we learnt about the crazy structures where the hops are grown which we had seen all over Belgium, but sadly there wasn’t a tasting session so we moved onto the Lijssenthoek Military Cemetery. Originally a field hospital during the First World War this place has an incredible story behind it, which I won’t spoil for you. Another big cemetery with over 10,500 graves, the visitors centre is much more interactive than Tyne Cot and you can even search for names of the soldiers buried there. My heart jumped up into my throat when I found 17 Elliott’s laid to rest. 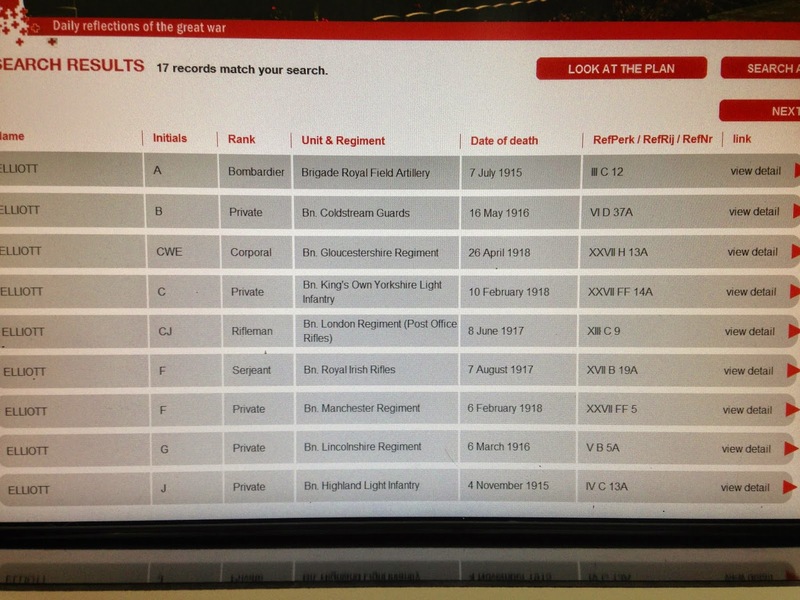 I don’t know of any ancestors who may have been in the First World War but having this connection with our names just put everything into perspective and how these men actually were people, who gave up everything to serve their country. I suppose when people don’t have that military association they can feel detached from the implications of war of families, and that they’re “just soldiers” rather than considering that they were actual people, with actual names. I am so grateful for having the opportunity to visit these places and to feel this connection, particularly on the centenary anniversary of the Great War. And that was my adventure, all over in 4 very busy days. We immersed ourselves in the experience, and have returned with a totally different view of the Great War and to all of the men and women fighting in Wars today. With thanks to Visit Flanders and Disability Horizons, I’ll be wearing my poppy with pride every year to commemorate the thousands of lives lost, and appreciating the world that we live in today. All of these memorial sites, from the massive museums to the quiet cemeteries are all completely accessible in both a physical and emotional way, allowing people from all walks of life to discover the rich history that the Flanders Fields have to offer.